In 'Absolute Miracle,' Girls Found Safe After 2 Days In California Woods The sisters, ages 5 and 8, chose to stay put and drink water from leaves, officials said. Their disappearance in a rugged region launched a 250-person-strong search operation. 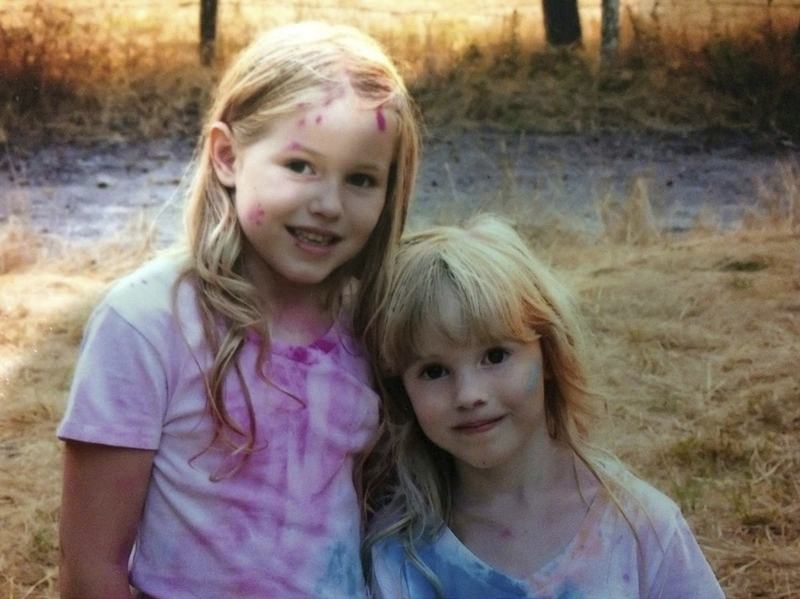 This undated photo provided by the Humboldt County Sheriff's Office shows Leia Carrico, 8, (left) and her sister, Caroline Carrico, 5. The girls were found Sunday after a two-day search of the woods around their Northern California home. Two nights passed while a 250-person-strong crew, including dog teams, assisted in the effort to find them, combing the steep terrain. Then by Sunday morning, tracks left by the boot-shod girls led rescuers to the sisters huddled together, safe, under a bush. "How they were out there for 44 hours is pretty amazing," said Sheriff William Honsal at a Sunday news conference, where the sense of relief was palpable and media attendees applauded and shouted "good job" to assembled rescuers. "This is an absolute miracle." #searchandrescue #update Leia and Caroline found safe by Piercy Volunteer Fire search team! The search covered more than a dozen square miles, officials said, before Delbert Chumley and Abram Hill from the Piercy Volunteer Fire Department found the girls about a mile and a half from where they had taken off. Leia, 8, and Caroline, 5, were near Richardson Grove State Park, known for its towering redwoods and wildlife, including bears and mountain lions that have been known to roam there. "This is an extreme environment," Honsal said. After realizing they were lost, the girls chose to stay put and drink water from huckleberry leaves, officials said. "They were dehydrated, they were cold, but they were well," Honsal said, adding that they suffered no apparent injuries and were in good spirits. They were reunited with their family Sunday morning and were checked out at a medical center. Honsal said the focus was on getting them hydrated, fed and warm again. "We have so many of these kinds of efforts that end up in tears and tragedy, and today we can all shed tears of joy," Humboldt County 2nd District Supervisor Estelle Fennell said at the news conference. The search for the girls brought together workers from multiple agencies and counties, including the U.S. Coast Guard and volunteers who drove for hours to pitch in, even sleeping on the ground, Honsal said. Lt. Mike Fridley of the Humboldt County Sheriff's Office said he got to be the one to call the girls' mother with the news that her daughters were found safe. "She melted on the phone," Fridley said. "We had to hang up because you couldn't talk."